Get ready to march in a band! Lead the beat with your own colorful, fun cymbals. 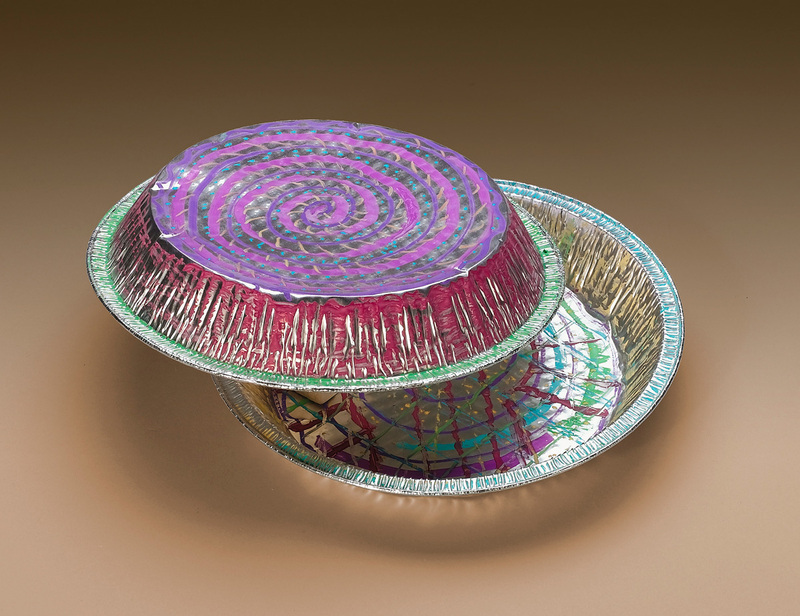 Using Gel markers or permanent ones, doodle and design patterns and shapes, swirls and curls on both sides of two aluminum pie pans. Create a look as striking as the sounds you’ll make! Hold the pans by their rims and clap them together. 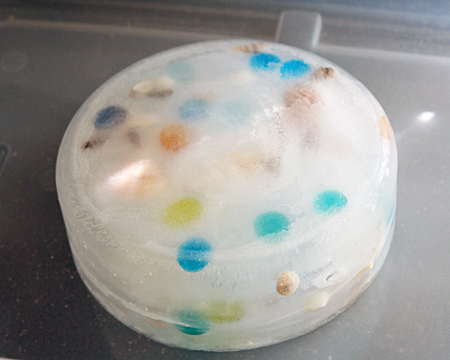 (If you are feeling really creative you can hot glue pipe cleaners as handles on to the outside middle of the plate). This Paper Plate Maraca is an easy homemade instrument. Fill it with what ever you have around the house and you’re ready to make some music! These also make great noise makers for special occasions! 1. 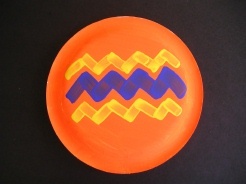 Paint your paper plates any color and design you choose – eating side down. 2. Once the paint is dry fill one paper plate with dried beans, popcorn, rocks or anything you have around the house that will make noise. Glue the paper plates together, and you’re done! Dig through the recycling bin and make this Water Bottle Maraca, a great homemade musical instrument for children of all ages! These also make great noise makers for New Years, birthdays or other special occasions! 1. Wrap your water bottle from top to bottom with masking tape. 2. Decorate your maraca by drawing or painting a unique design on the masking tape. 3. Fill your water bottle up with popcorn or dried beans, put the lid back on, and then shake, shake, shake! 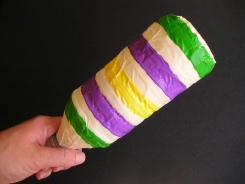 You could also wrap your maraca in different colored duct tape if you have it lying around the house! This is an easy way to make a guitar using an old shoe box or tissue box, rubber bands, scissors, a paper-towel tube, and a pencil. Have an adult cut an oval-shaped hole in the top. Stretch a few rubber bands around the box and over the hole. Put a pencil under the rubber bands on one side. Optional steps. Tape on a paper-towel tube and decorate the box. Small dried beans (like lentils), unpopped popcorn, dry rice, or tiny pasta. Trace around the end of your tube onto a piece of brown paper (or construction paper). Draw a bigger circle around that circle and then draw a lot of spokes between the two circles. Put glue on the spokes and glue the cap onto one end of your tube. Cut a piece of aluminum foil that is about one and half times the length of your tube and about 6 inches wide. Crunch the aluminum foil into two long, thin, snake-like shapes. Then twist each one into a spring shape. Put the aluminum foil springs into your tube. Pour some dry beans, dry rice, or unpopped popcorn into your tube. The tube should only be about 1/10 full. You can experiment to see how different amounts and different types of seeds and beans change the sound. Make another cap from brown paper (the same as the first three steps) and cap your tube. Optional: Decorate the tube by covering it with brown paper or construction paper, and then making designs with crayons or markers (or cut-out paper or stickers). Rainforest designs are nice, especially brightly-colored butterflies, frogs, and flowers. Tiny construction paper butterflies (like the one on the right) are nice glued onto the rainstick. Have fun and make some noise!!! Step Three: Cut out your “pumpkin”, you will end up with two identical pumpkin cut outs. Step Four: Place the pumpkin cutouts together with the logo or writing on the inside! Step Five: Staple or hole punch along the edge of the pumpkins holding them together. If you use the hole punch option use yarn to “sew” the sides together leaving a little space at the bottom. Step Six: Use all most all of the rest ( save a small piece for a stem and leaf) of the paper bag to stuff your pumpkin. tear into large pieces and crumple those and push into the opening you left. Step Seven: Either staple or finish “sewing” you pumpkin closed. Step Eight: Use the last piece of the bag to cut out a leaf and a stem for your pumpkin. either glue or staple on. Step Nine: Paint the pumpkin any colors you wish. Can be made with a face as a jack o lantern or fall colors. Step Ten: Hang and enjoy!! Step Two: Paint your childs hand, wrist to mid forearm with brown paint. 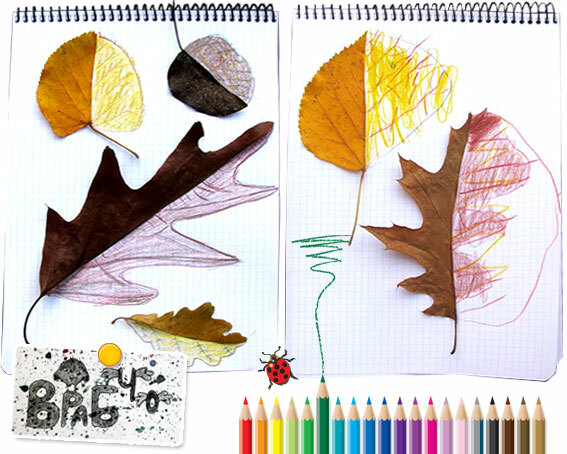 Step Four: On a paper plate or art tray put the colors of paint you want for leaves. Step Five: Let the child use their fingers to make the tree leaves. Dip finger tips into the paint and press around the hand print top of the tree. Project 5: Leaf People or animals or monsters or??? Step Two: Glue leaves to paper to create whatever your heart desires!! 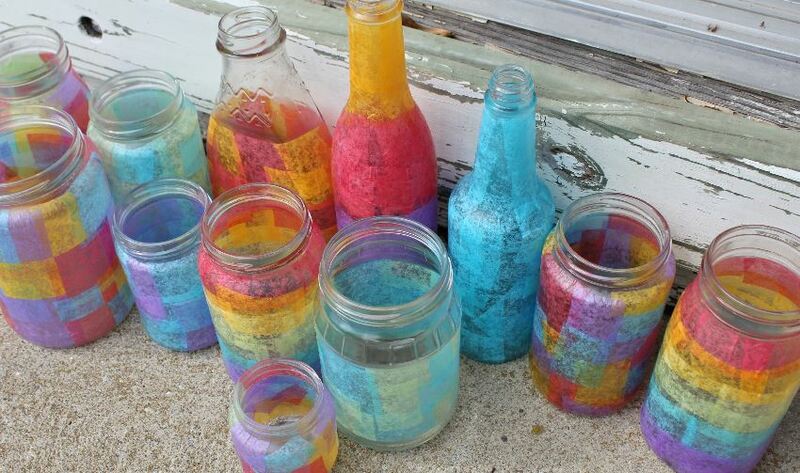 6 DIY Activities for Outside Summer Fun! 6 Easy Outdoor DIY Ideas for Summer Fun!! String Web: Take string or yarn and wind it all around your yard.. swing set, trees, patio furniture…then have the kids climb through! 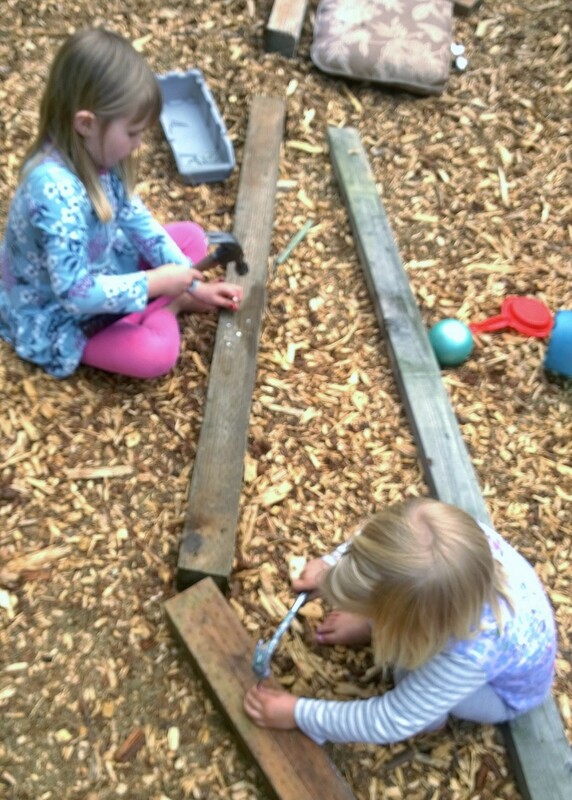 Balance Beam Maze: Use boards to make a balance beam maze to follow around the yard! Easy to change the shape, add other challanges like buckets to step over. 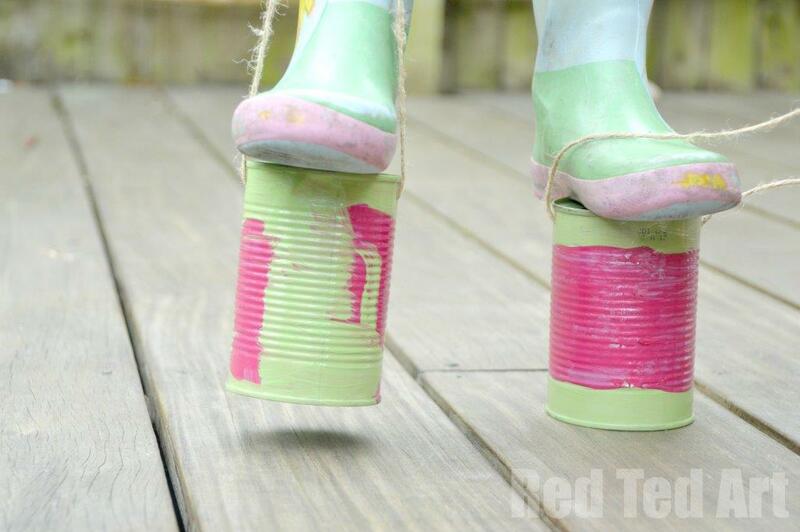 tin can stilts: Easy, peasy!! tin cans, peel the wrapper off, use a nail and poke a hole in each side tie string or ribbon through and voila! Tin-can stilts!! 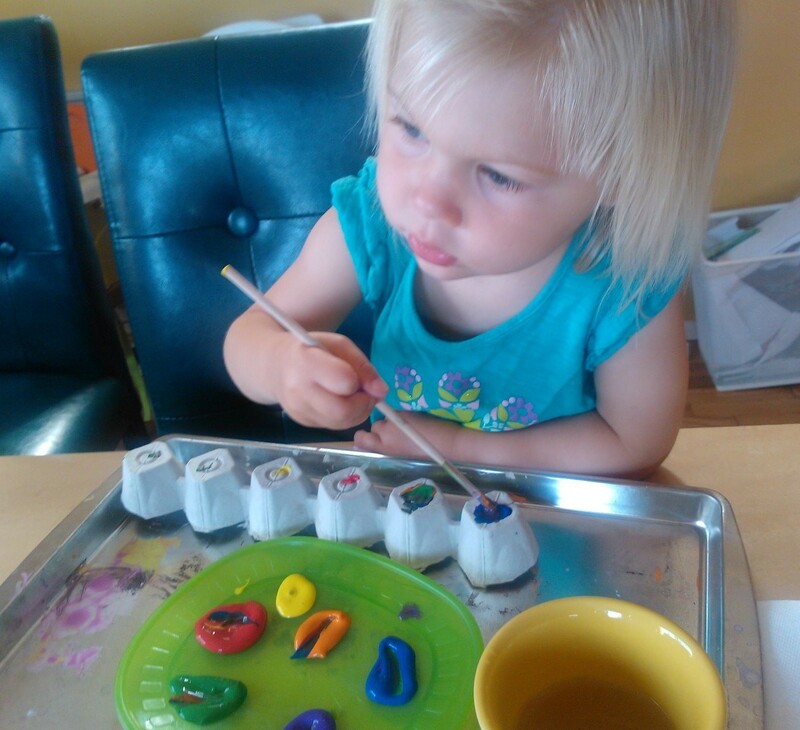 Kids can paint these or add stickers for extra fun! Hammer and Some Nails: Easy as it sounds! 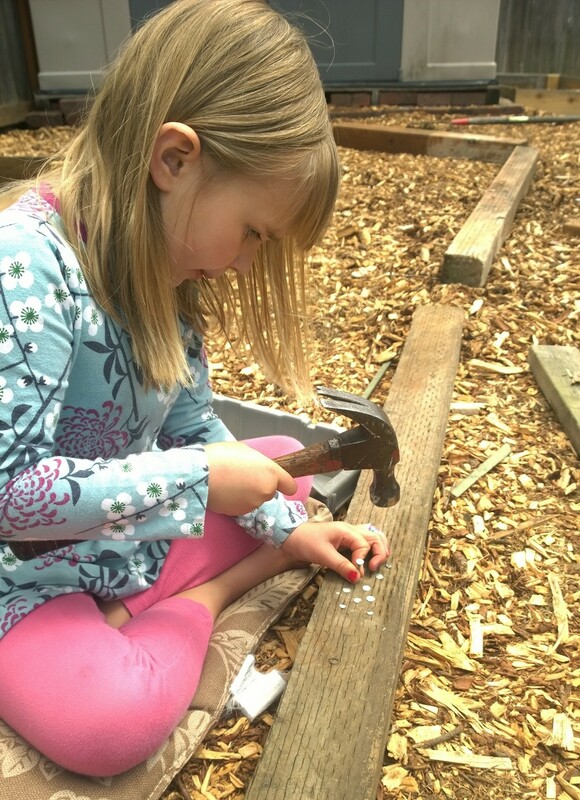 My girls love to just hammer…it is amazing how careful they are. 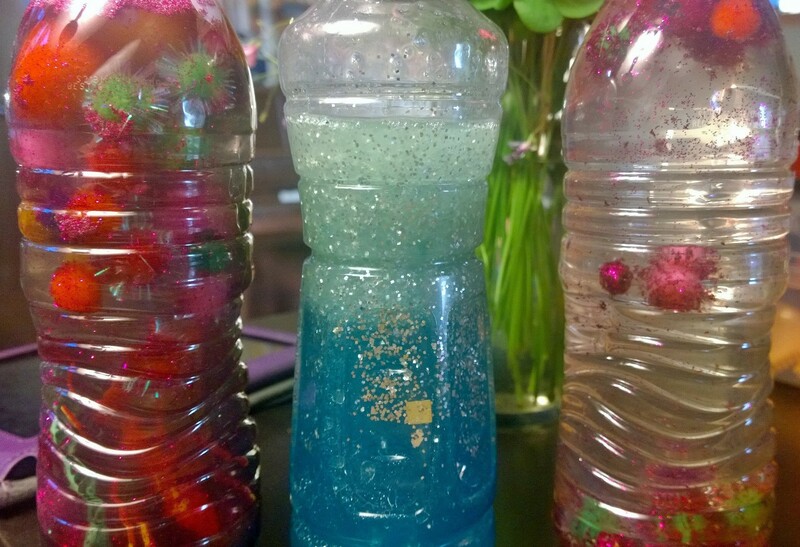 6 Super Easy & Practically Free: Summer Crafts for Kids! Summer is here! 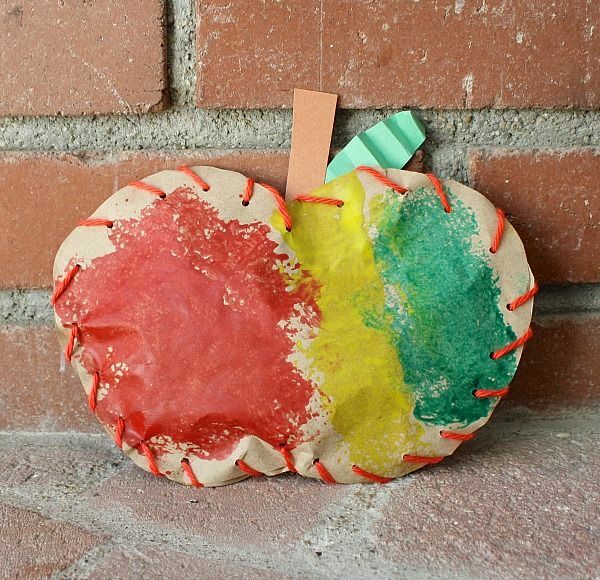 For school age kids and their parents that means that there can never be too many ideas for how to occupy those little minds and hands (and for those like me with little ones around ALL the time, I know I’m always looking for easy craft ideas). Here are 6 activities which are easy, fun and practically FREE!! 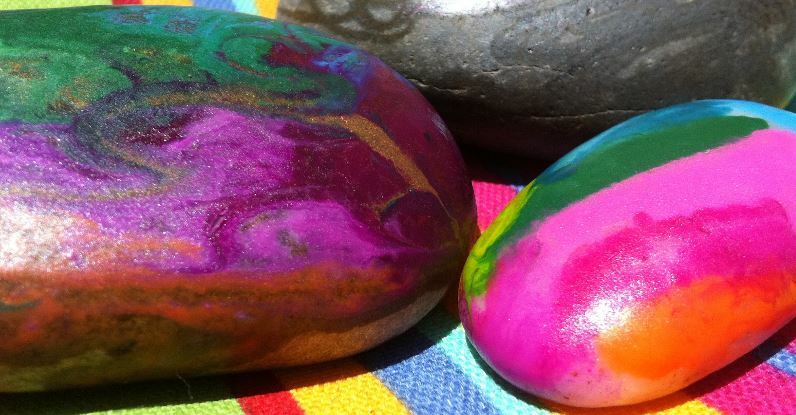 Colorful Wax Rocks! Heat rocks in the oven or in the sun (not too hot, just warm to the touch). Color them with crayons and watch the colors swirl. Beautiful and fun! I plan to use ours to decorate our garden. I bet you could even color the rocks first and then set them in the sun if you live in a hotter climate. Stained Glass Candle Jars: Kid style! Reuse any glass jar by turning it into a beautiful candle holder for those outdoor summer picnics. Wash the jar and remove the label. Cut pieces of tissue paper (we use the tissue I save from gifts) into squares or shapes. Tearing it into bits works too. Paint the glass jar with liquid white glue (Elmer’s type) and stick the tissue onto the outside of the jar. If you want to make these last longer you can spray the outside with a spray fixative but it is not necessary. 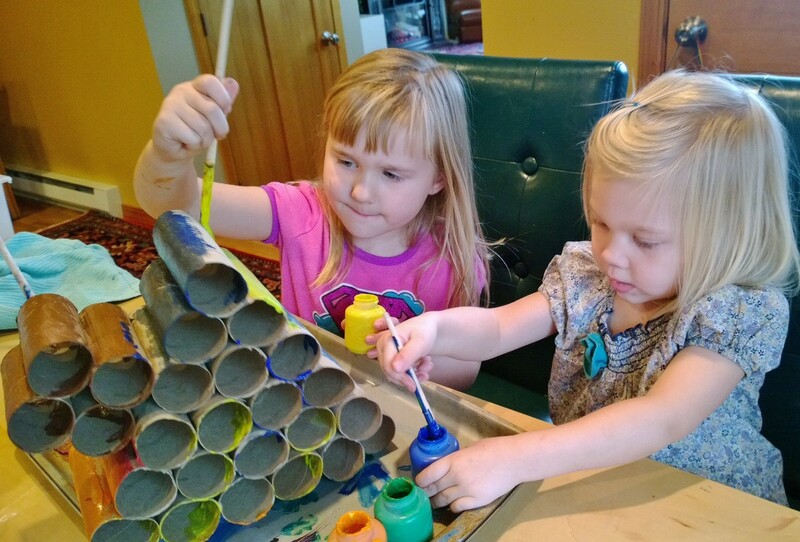 Toilet paper/Paper towel Roll Crafts! My girls love these tubes for spy glasses, instruments (they love to blow into them making noise) and we have cut out characters, people or animals from magazines and glue them to the tubes to make a version of a stand up paper doll. Last Christmas we even made a paper roll advent tree to hide the activity & treat surprises for each day leading up to Christmas! Here are 20 other ways to use these paper rollers. Magic Wands: My kids love sticks! I know they can be mildly dangerous but if they aren’t sharp and are used in positive creative way, they are great fun! You’ll need lots of glitter glue (we use the tubes from the dollar store) paint the stick with the glue, then add ribbons, leaves, sequins, stickers….you get the idea, and voila…MAGIC! Egg Carton Crafts! My girls also love egg cartons. We have made flowers, caterpillars, sorting trays…They are fun to paint, color with markers, crayons, add some glitter…the sky is the limit. Father’s Day is Sunday June 15th. At my house it’s usually at the very last-minute my daughters say they want to “make a craft for Daddy”, and then we are scrambling to pull something together from a rag-tag box of art supply leftovers. They get their “last minuteness” from me, I’m afraid, along with their penchant for crafts. I can’t say I mind. I do kind of revel in the creative panic that sets in and just going for it. Everything usually turns out just fine. BUT…I did think that this year, being my year of meaningfulness and this blog, that I would attempt to be ahead of the game and have some Father’s Day craft ideas in my back pocket, so to speak. Here are a few I found from various sources which I tried to attach the links. Hopefully I have given credit where credit is due, since NONE of these crafts ideas are originally mine. This Dad paperweight looks easy and fun. My girls love most any salt dough creations. The recipe we use is equal amounts salt and flour with water as needed. Start with 1 cup salt & 1 cup flour 1/2 cup water…then go from there depending on how much dough you need. If you want smoother less grainy dough use more flour and less salt. You want the dough to be a good consistency. Not too sticky and not too dry. 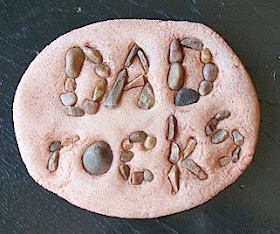 Then it looks like you could use rocks, shells, beads, sticks…to write the message in the dough. If it’s a paper weight then shorter works would be best, but it could be a wall hanging or a desk sign which could be longer. Be creative! This next craft looks really cute. All you need is a shoe of dad’s and the a shoe of your child, and either a canvas or paper. You would want to use acrylic paint if you want to print on a canvas (most arts/craft stores such as JoAnn’s, Michael’s, Hobby Lobby have pre-stretched canvases) or any type of paint for a paper print which could be framed. 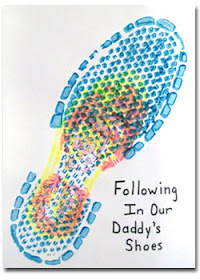 paint the bottom of the dads shoe and print. Let this dry, then paint the child’s shoe and print inside the dads shoe print. choose colors that are a good contrast so the smaller shoe will show up inside the bigger one. The “About Dad” printables are fun to do each year. Candidly ask your child the questions and write down their often hilarious answers. Always good for a laugh! This is a “About Dad” printable is formatted to be a card which is really great! could be printed on cardstock to be more durable. A fun day by day list of May holidays and activities to do with your child. May 2- International Tuba Day: Tuba’s are awesome! Again you-tube is a great place to see some tuba playing action. There are also many interesting facts about tubas. Did you know they can weigh between 12-50 pounds?! It’s also Baby Day, take some extra time to snuggle your precious babies and dig out the baby photos. Kids love to see themselves as babies!! May 3- Lumpy Rug Day: If you have an area rug, hide some rubber bugs or toys under making a “lumpy rug”. Children will love to try to figure out what is under there. And World Press Freedom Day created by the United Nations celebrating what journalists have sacrificed for freedom of press and expression. Read your kiddoes a non-fiction book of some sort today. May 4- Star Wars Day: Because of the quote “May the force (fourth) be with you”. If your kids are old enough watch a Star Wars movie or build a Star Wars Lego set. It’s also Renewal Day, a day to start over. Remind yourself and your kids that mistakes are learning opportunities. We all need a do-over. May 5- Cinco de Mayo: Celebrate Spanish or Mexican heritage or celebrate Oyster Day. You could make homemade tortillas and read a book about some amazing cultural heritage. To celebrate oyster day you could string some beads making a pearl necklace. May 6- Teachers Appreciation Day. Have your child make a thank you card for their teacher! May 7- School Nurses Day, again homemade kid cards are the best! May 8- No Sock Day, Your kids will love this. No Socks Allowed! It’s also National Red Cross Day. There are many books that recognize their humanitarian and disaster relief efforts all over the world. Seriously awesome! Kids also love globes. Take a minute to address that some children are not as fortunate as we are. May 10- Clean Up Your Room Day. Woohoo! The kiddoes may not like this as much, but help them clean their room. They can help you clean yours too, if needed…. May 13- Frog Jumping Day. So fun! Have frog races, hop like a frog around town (you kids especially) Look for frogs, read about frogs…if is frog related, do it! Most kids love frogs!! May 14- Dance Like a Chicken Day. Oh, the Chicken Dance, a childhood favorite. Teach this dance to your children. It will be a great family laugh! Click here to learn the Chicken Dance! May 15- National Chocolate Chip Day. This will be fun. Add choc chips to any and everything possible. Choc chip pancakes, peanut and choc chip sandwiches, make trail mix and add choc chips. It’s just one day and your kids will love the treats! May 16- National Bike to Work Day, your kids aren’t going to work, but maybe bike to school or to the store or just around the neighborhood. And of course honor National Sea Monkey Day. It is always fun to buy the ‘grow your own creatures’ in water. They are pretty inexpensive and kids love these! May 17-Armed Forces Day, say a thank you to all the men and woman who serve our country. If you have a family member who is or was in the service, maybe call and give them a special thanks! May 18- International Museum Day & No Dirty Dishes Day. Go on a local field trip to the nearest museum. And maybe try to eat all finger food, using no dishes. May 19- Boy’s Club Day, let’s call it Boys & Girl’s club day since it is to honor the importance of these groups in our community. May 20- Pick Strawberries Day. Kids love to pick strawberries. If your area has them, find a field to go visit. If strawberries are not in your area. Maybe find another berry or fruit to pick. Kids love to pick berries! May 22- Buy a Musical Instrument Day, Dollar and discount stores have inexpensive instruments. Go instrument shopping and make a band. Also do some real instrument research online or in books. And if you play an instrument. Have a family concert! May 23- Lucky Penny Day. Look for pennies on the ground and if anyone finds one be sure to yell, “you found a lucky penny”. You could also take a few pennies to a local fountain and have your kids throw them in making a wish. May 24- National Escargot Day. talk to your kids about all the creatures that people eat that may seem strange to them. Kids love to hear about interesting things to eat! May 27- Sun Screen Day. Talk to your children about the dangers of the sun and why sunscreen is important. Explain that we don’t just put it on them to torture them. May 28- Amnesty International Day. Recognize the need to protect human rights around the world. Yes, we are all in this together. Discuss children in other parts of the world. There are organizations where you can adopt a third world country child on paper and feel connected to helping a less fortunate child. May 30- Water a Flower Day. Kids love to water. Get them out there watering all the plants. Again around here the dollar stores, and discount stores, even Targets dollar bins have kid watering cans. These are awesome! Have Fun & Enjoy May! !